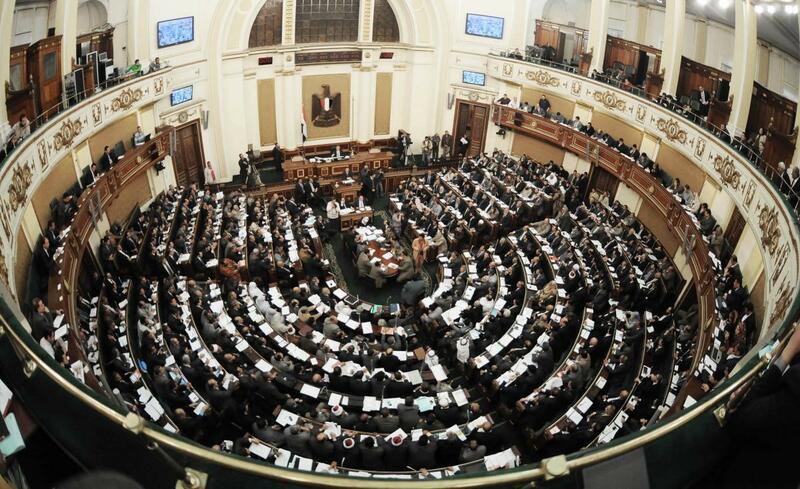 Egypt’s House of Representatives approved on Tuesday the NGO draft law amid heavy criticism from civil society groups and political parties. The 89-article draft law was sent to the State Council for review, as required by the constitution and the parliament’s bylaws. A number of political parties and civil society organizations condemned the draft NGO law on Tuesday, saying it “effectively eradicates civil society and defers administration of it to the government and security apparatus” in a joint statement. The law requires NGOs to register under what the statement deems as “broad conditions,” which for example stipulate that the organization doesn’t engage in activity that conflicts with national security and public order. It will also “give the competent administrative body (as of yet undefined) the power to determine whether an association’s activities correspond with the needs of society and development plans,” the statement said. The law imposes a sentence of up to five years in prison and a fine of up to EGP 1 million on organizations that conduct opinion polls or field research, engage in civic association work without registration, or cooperate in any way with any international body — including the UN — without the necessary approval. The statement warns that the law could “destroy legally established civic associations working in social development and services,” if approved. Parliament Speaker Ali Abdel Aal said that the parliament welcomes any adjustments made by the government before giving final approval for the law, MENA reported. The law comes amid growing restrictions on civil society organizations in Egypt, namely in light of an ongoing case against several of the undersigned groups. In September, the Cairo Criminal Court accepted the prosecution’s request to freeze the assets of a number of human rights defenders and organizations in connection with case No. 173 (2011), in which several rights defenders are accused of operating organisations and receiving foreign funds without a license.